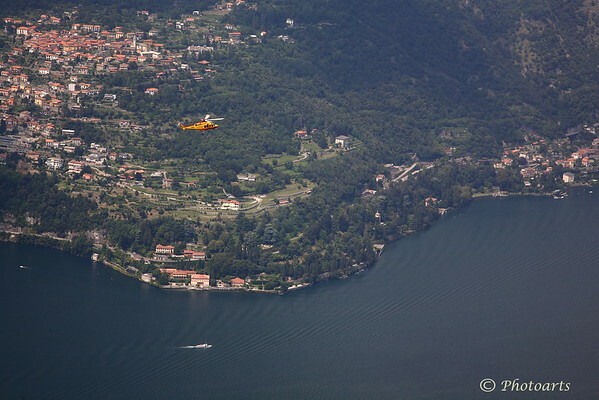 An Italian emergency services helicopter is captured flying over the north shore of lake Como, Italy, where the rich and famous play! Great capture of the helicopter over the city! Lovely aerial shot view ! Wonderful capture from this high vantage point.